Jane Levy stars in the reboot of the classic horror franchise, which just got knocked out of our bracket to determine the best movie franchise. The film follows a group of teens who accidentally release a pack of demons in a remote part of the woods. Shiloh Fernandez, Jessica Lucas, Elizabeth Blackmore, and Lou Taylor Pucci also star. Fede Alvarez directs the film, which he co-wrote with Diablo Cody (Juno). 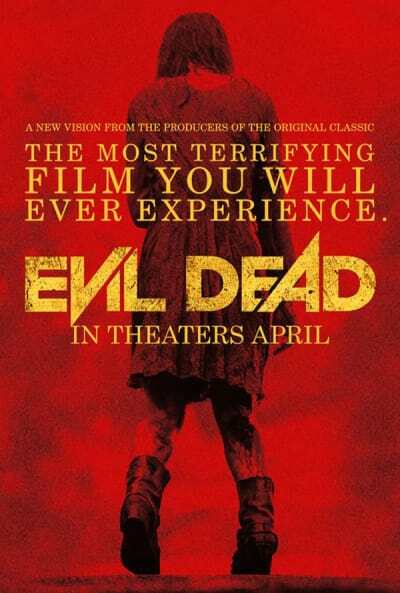 Evil Dead premieres April 5. Watch the Evil Dead red band trailer for a closer look.